Backed by the team of experts and professionals, we are engaged in manufacturing and supplying an outstanding range of Electrochemical Impedance Spectroscopy Analyzer. We can offer you an impedance analyzer that can do LCR & DCR measurements with the function of frequency sweeping. 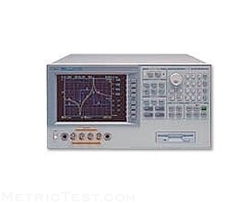 This analyzer can perform frequency sweeps, level sweeps, and time interval measurements with a with a maximum speed testing of 1.5 ms at 1 kHz. It offers a wide frequency range from 4 Hz to 5 MHz. We are engaged in manufacturing and exporting a wide range of products like impedance analyzer. Wayne Kerr Electronics Pvt Ltd.